As many of my contacts know, I just love skippers. What are skippers you say? Glad you asked! Skippers are in the family Hesperiidae (butterflies). They are named for their rapid often erratic flight. There are 3,000 species worldwide, with 250 in North America. 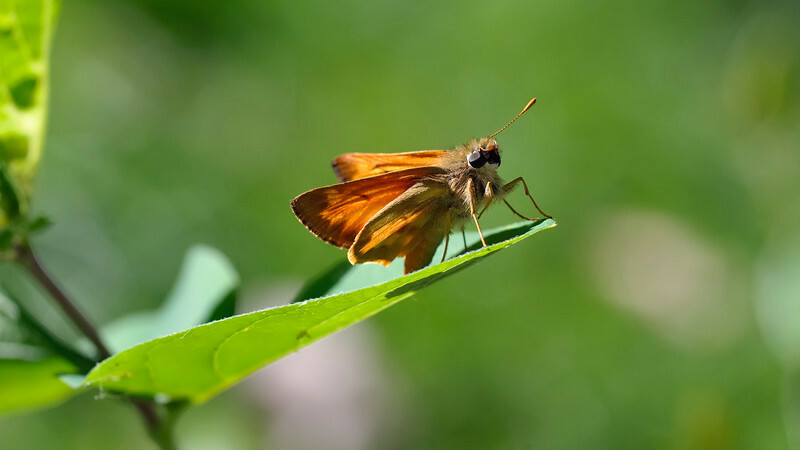 Often mistaken for moths, skippers differ from the true butterflies in their proportionately larger bodies, smaller wings, and hooked antennae (see closeup in the first comment below), among many other structural differences. I have a couple of ideas on what species of skipper this one is, but would welcome any guesses as to ID. Speaking of which if you ever need a good website for butterfly and moth information and ID, this is one of the best out there ( http://www.butterfliesandmoths.org/ ) .